Our firms goal is to create thoughtful strategies for business professionals, individuals, and families who wish to fine tune their financial planning strategies and build wealth for future generations. A determination to work with a Wealth Management firm they can trust. An importance in having a collaborative planning experience. A deep appreciation for the hard work required to create their wealth. A goal to avoid the permanent loss of capital and steps required to appreciate assets. A desire to transfer wealth to family members and/or charities. An interest in ensuring the continuation of their family values. MST Financial Wealth Management and Insurance Services gives our clients a comprehensive boutique financial planning firm with expertise in wealth management, risk management services, executive deferred compensation strategies, and employee benefits planning. Our advisory team located in Newport Beach, California is licensed and registered with the financial strength and security of Northwestern Mutual. As a firm, we constantly review the landscape of planning options, strategies, and outcomes and we are reminded that solving complex problems often requires the work of many planning professionals. With over 45 years of combined planning experience, our goal is help you navigate what a successful outcome looks like and then help you tailor an approach to help you achieve it. We believe strongly that the best solutions for clients are successful teams who work together and leverage the combined strength and talent of many. MST Financial Wealth Management and Insurance Services(MST) engages with clients of various backgrounds, all with a common goal of fulfilling the potential of their wealth and its impact on the ones that matter most to them. Chad Alan Shaw , Henry William Sladek and Thomas Anthony Miller Jr use MST Financial Wealth Management & Insurance Services as a marketing name for doing business as representatives of Northwestern Mutual. MST Financial Wealth Management & Insurance Services is not a registered investment adviser, broker-dealer, insurance agency or federal savings bank. Northwestern Mutual is the marketing name for The Northwestern Mutual Life Insurance Company, Milwaukee, WI (NM) (life and disability insurance, annuities, and life insurance with long-term care benefits) and its subsidiaries. Chad Alan Shaw , Henry William Sladek and Thomas Anthony Miller Jr are Representatives of Northwestern Mutual Wealth Management Company® (NMWMC), Milwaukee, WI (fiduciary and fee-based financial planning services), a subsidiary of NM and limited purpose federal savings bank. All NMWMC products and services are offered only by properly credentialed Representatives who operate from agency offices of NMWMC. Chad Alan Shaw , Henry William Sladek and Thomas Anthony Miller Jr are Agents of Northwestern Long Term Care Insurance Company, Milwaukee, WI, (long-term care insurance) a subsidiary of NM. Chad Alan Shaw , Henry William Sladek and Thomas Anthony Miller Jr are Registered Representatives of Northwestern Mutual Investment Services, LLC (NMIS) (securities), a subsidiary of NM, registered investment adviser, broker-dealer and member FINRA (finra.org) and SIPC (sipc.org). Chad Alan Shaw , Henry William Sladek and Thomas Anthony Miller Jr are Insurance Agents of NM. 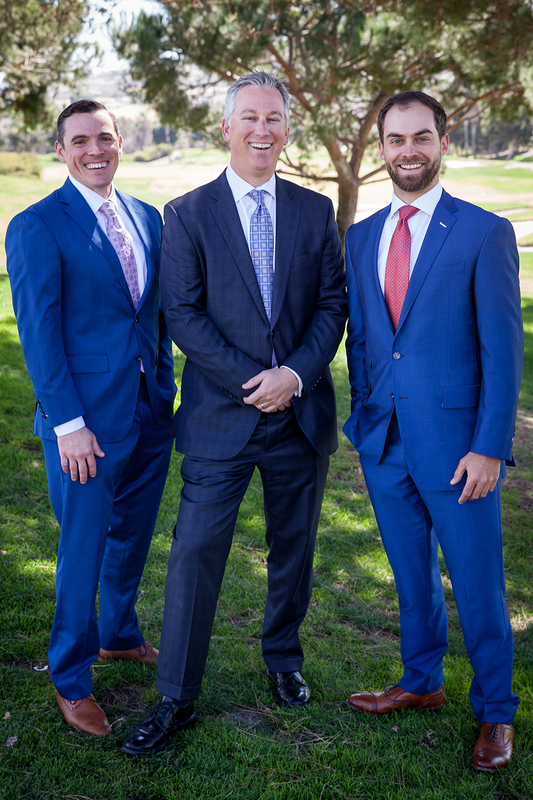 Chad Alan Shaw , Henry William Sladek and Thomas Anthony Miller Jr are primarily licensed in CA and may be licensed in other states.